The Maltese people migrated from Malta, an island country made of a group of seven islands in the Mediterranean Sea. They speak Maltese, with the majority able to converse in English. They are culturally intertwined with traditional customs and modernization. Weddings are usually a grand occasion. 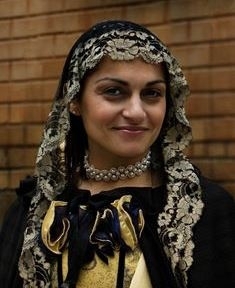 Their traditional customs are very much a part of their religious heritage. However, their traditional customs are a mixture of several influences (e.g. Latin, European, and Mediterranean). Malta is described in the Book of Acts (Acts 27:39-42 and Acts 28:1-11) as the place where Paul the Apostle was shipwrecked on his way to Rome, awaiting trial. Freedom House and the World Factbook report that 98% of the Maltese are Roman Catholic, making the nation one of the most Catholic countries in the world. Maltese in the United States also claim Roman Catholicism as their religion. However, the majority are in name only Roman Catholic living a more secular life. Pray God will reveal to Maltese that forgiveness in Christ is by grace and not works. Pray God will send Christians to live among Maltese people, sharing the message of Christ's grace and exemplifying a lifestyle that reveals God's free gift of grace.